We have found a better way to bed and feed livestock. 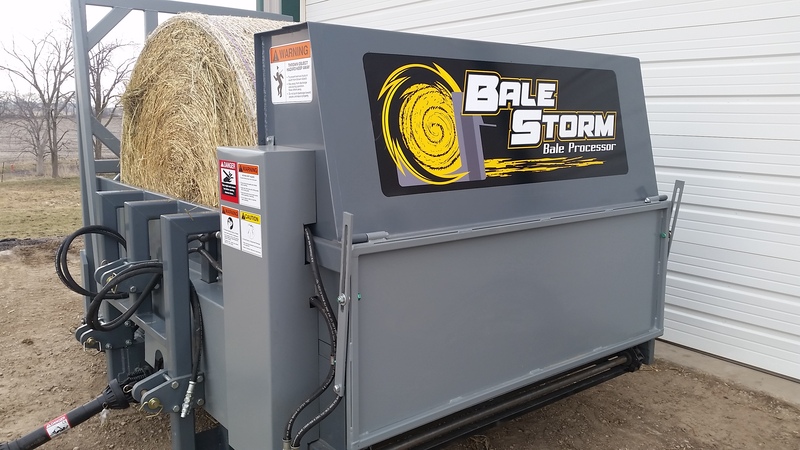 Keeping them dry and healthy is easier with the Bale Storm Bale Processor. Our mission is to share what we have learned with other livestock producers. 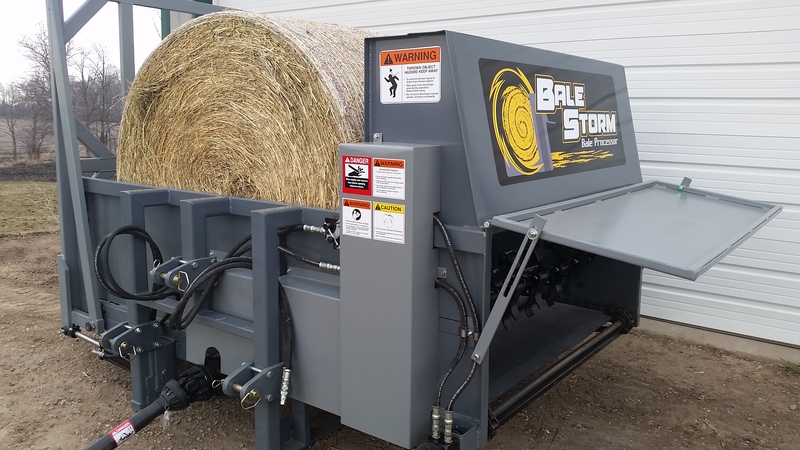 The Bale Storm Bale Processor saves time, saves money and is a safe piece of equipment to use. It will help keep your livestock dry and healthy. 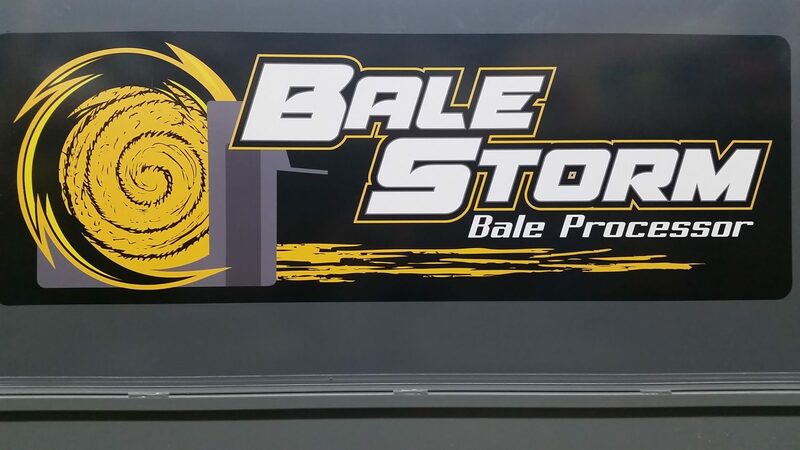 Our mission is to show others how the Bale Storm Bale Processor can improve the way they care for their livestock. We believe in the Bale Storm Bale Processor. We hope to see other livestock producers benefit from using the Bale Storm Bale Processor. 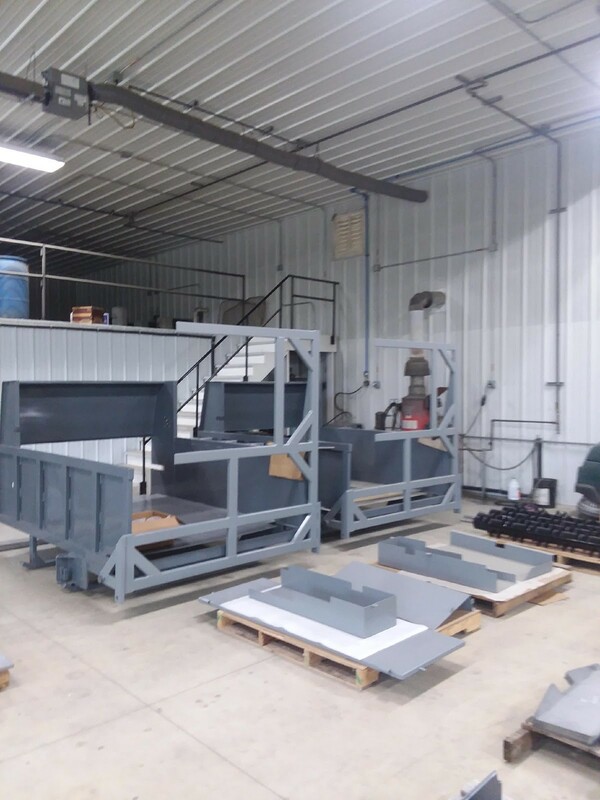 Our vision is to see the Bale Storm Bale Processor be a standard piece of equipment on livestock operations big or small in the United States and in other countries. After struggling with frozen net wrap for many years bedding his livestock, Bruce knew there had to be an easier way. He started working on a bale processor that would make this job easier, safer and economical. Bruce designed the front mount processor for the skid loader and then the rear mount bale processor for the tractor. 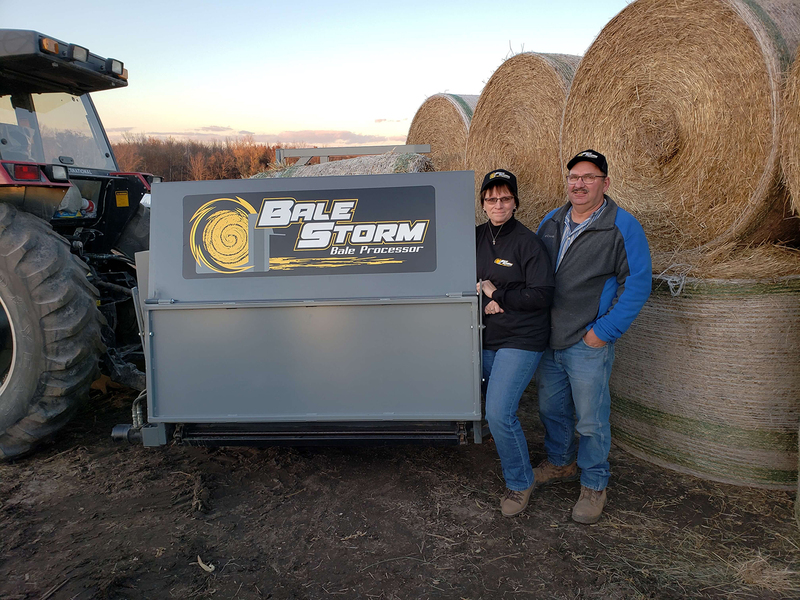 He has been using the Bale Storm Bale Processor on his farm for almost three years. 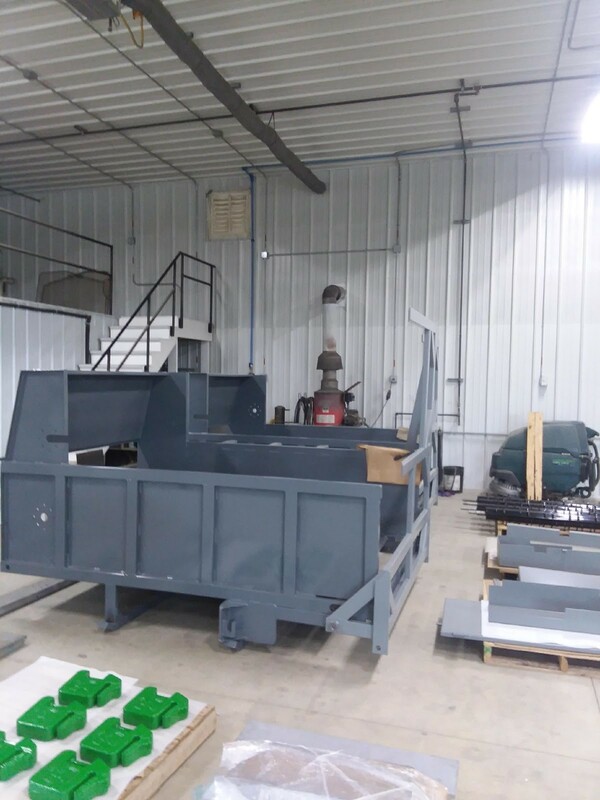 He has saved over 30% on his bedding cost yearly since using the Bale Storm Bale Processor. 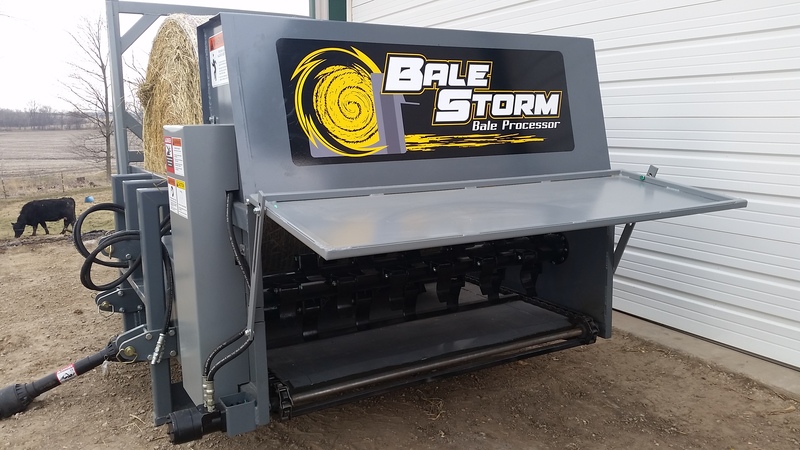 The Bale Storm Bale Processor allows visibility to see where your bedding is being spread.